88 Commercial Real Estate & Properties in Banyo are listed in 5 categories. We have 56 Industrial Warehouses Sale & Lease , 29 OfficesSale & Lease , 4 Medical and Consulting PropertiesSale & Lease , 3 Retail ShopsSale & Lease and 1 Development LandsSale & Lease . Features: Combination metal clad and tilt panel construction Column free warehouse space Access via multiple container height roller doors Dual street access Commercial grade office with air conditioning Large 3 phase power supply Fully fenced and secure site Extra Mezzanine Storage Functioning grease trap Scope to drive through Location: The subject site is located superbly on the corner of Huntington Place and Buchanan Road, Banyo. Buchanan Road leads onto Nudgee Road which leads directly to the Gateway Motorway along with Kingsford Smith Drive, offering excellent access to the Brisbane CBD, Inner City Bypass and Airport. Banyo CBD offers a large selection of retail amenity including: the new Woolworths centre, food, banking and professional services. For further information please contact the Exclusive Agents from Ray White Commercial QLD. 84m2 refurbished office space 2 allocated car parks Provides direct access to Nudgee Road Located 10mins from Brisbane Airport Banyo is located 13km from CBD and has vastly increased the number of its business and industrial parks in recent years due to its close proximity to Brisbane Airport and the nearby Port of Brisbane. Fully furnished 87m2 office suite Refurbished office with good exposure 2 allocated carparks Air conditioned throughout Close to Brisbane Airport Banyo is located 13km from CBD and has vastly increased the number of its business and industrial parks in recent years due to its close proximity to Brisbane Airport and the nearby Port of Brisbane. 567m2 office Kitchen with lunch room Air conditioned through out Excellent access to M1 Motorway Toilet & shower facilities 10 mins drive to Brisbane Airport Potential to rent smaller suites Banyo is located 13km from CBD and has vastly increased the number of its business and industrial parks in recent years due to its close proximity to Brisbane Airport and the nearby Port of Brisbane. 287m2 workshop Container access Good truck access WC amenities Located 10 mins from Brisbane Airport Banyo is located 13km from CBD and has vastly increased the number of its business and industrial parks in recent years due to its close proximity to Brisbane Airport and the nearby Port of Brisbane. 1432m2 clearspan warehouse 240m2 yard B double access 3 phase power 3 roller doors (4.5m 5m) to the front Additional roller door on the side Potential to split into 859m2 and 573m2 Internal height: 6.9m eave height to max 9.7m in centre Located 10 mins drive from Brisbane Airport Banyo is located 13km from CBD and has vastly increased the number of its business and industrial parks in recent years due to its close proximity to Brisbane Airport and the nearby Port of Brisbane. 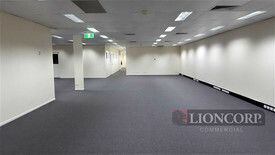 Professional Office Space on Nudgee Rd Featuring: bull; Fully refurbished office over single floor place. 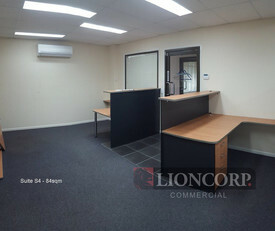 bull; Commercial grade fitout with open planned and partitioned suites bull; Fully Air Conditioned and self contained bull; Exposure and signage to busy Road bull; Onsite car parking bull; With Easy Gateway Access bull; Bus service, close to Train, Motorway Call Today Approximately 12 kilometres from the CBD and minutes from the Brisbane Airport Eagle Farm. The property is located near the Gateway Motorway allowing good access to all arterial roads. For further information please contact the agency listed. 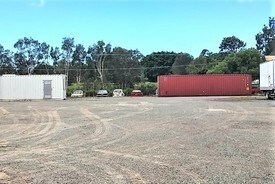 Metal Clad Warehouse Features: bull; High ceiling warehouse bull; 100 amps per phase bull; Small yard also available bull; Allocated parking bull; B Double entry bull; Seconds to Motorway Call Today Approximately 12 kilometres from the CBD and minutes from the Brisbane Airport Eagle Farm. The property is located near the Gateway Motorway allowing good access to all arterial roads. For further information please contact the agency listed. 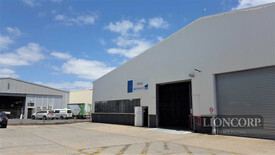 Metal Clad Warehouse Features: bull; 6.9m to 9.7m ceiling warehouse bull; Multiple roller doors and 3 phase power bull; 240m2 adjoining yard space bull; 14 car bays bull; B Double entry bull; 1 minutes from Motorway Call Today Approximately 12 kilometres from the CBD and minutes from the Brisbane Airport Eagle Farm. The property is located near the Gateway Motorway allowing good access to all arterial roads. For further information please contact the agency listed. Features: Modern tilt panel facility with corporate design Commercial office accommodations over two levels under refurbishment Combination of open plan and private offices Ground floor showroom On grade and recessed loading dock access Natural and high bay lighting Exposure to Buchanan Road street front and Gateway Motorway Onsite transformer with large power supply Onsite parking including undercover spaces Secure site The subject site is located with the Northern TradeCoast suburb of Banyo approximately 12 radial kilometres from the Brisbane CBD. The site offers exceptional access to major road and transport networks Gateway Motorway, Southern Cross Way and Nudgee Road. 70 Buchanan Road is within close proximity to Brisbane Airport and a short drive to the Gateway Bridge for access to the Port of Brisbane. For further information, or to book an inspection, please contact the Marketing Agents at Ray White Commercial (QLD). 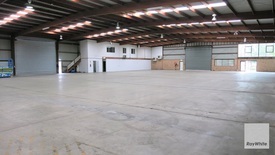 340sqm Office/Warehouse space over 2 levels Container height roller door Corporate grade internal and external finishes Superb truck access Gym and Cafe on site with lounge and meeting facilities available Direct access to the Gateway Arterial road north and south directions For further information or to arrange an inspection contact Richardson Wrench Commercial Brisbane North now! 31m2 total First Floor Unit Multiple suites and sizes to choose from Main Road frontage Good signage opportunity Clear span design with 5 roller doors Good onsite and offsite car parking. 1 space per 35sqm. There is also on street car parking opposite plus the potential to park additional vehicles at the rear of the site. Rent inclusive of outgoings and reasonable electricity use. For further information or to arrange an inspection contact Richardson Wrench Commercial Brisbane North. 49m2 total First Floor Unit Multiple suites and sizes to choose from Main Road frontage Good signage opportunity Clear span design with 5 roller doors Good onsite and offsite car parking. 1 space per 35sqm. There is also on street car parking opposite plus the potential to park additional vehicles at the rear of the site. Rent inclusive of outgoings and reasonable electricity use. For further information or to arrange an inspection contact Richardson Wrench Commercial Brisbane North. 12m2 total First Floor Unit Multiple suites and sizes to choose from Main Road frontage Good signage opportunity Clear span design with 5 roller doors Good onsite and offsite car parking. 1 space per 35sqm. There is also on street car parking opposite plus the potential to park additional vehicles at the rear of the site. Rent inclusive of outgoings and reasonable electricity use. For further information or to arrange an inspection contact Richardson Wrench Commercial Brisbane North. 17m2 total First Floor Unit Multiple suites and sizes to choose from Main Road frontage Good signage opportunity Clear span design with 5 roller doors Good onsite and offsite car parking. 1 space per 35sqm. There is also on street car parking opposite plus the potential to park additional vehicles at the rear of the site. Rent inclusive of outgoings and reasonable electricity use. For further information or to arrange an inspection contact Richardson Wrench Commercial Brisbane North. 15m2 total First Floor Unit Multiple suites and sizes to choose from Main Road frontage Good signage opportunity Clear span design with 5 roller doors Good onsite and offsite car parking. 1 space per 35sqm. There is also on street car parking opposite plus the potential to park additional vehicles at the rear of the site. Rent inclusive of outgoings and reasonable electricity use. For further information or to arrange an inspection contact Richardson Wrench Commercial Brisbane North. 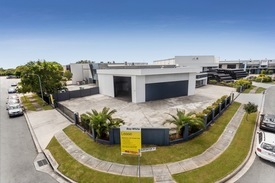 Self contained quality office suite Self contained quality office suite Tea point and exclusive W/C's Direct access and frontage to Nudgee Road For further information or to arrange an inspection contact Richardson Wrench Commercial Brisbane North now! Large clearspan warehouse well positioned with nearby access to both North and South sides of Brisbane via Gateway Motorway. Warehouse has multiple roller doors measuring 5m high by 4.5m wide. Internal clearance beginning at 6.9m and growing to 9.7m. Option for new office to be constructed if necessary. Car parks available B Double Access 3 Phase Power 1,432m2 Warehouse space For further information please contact Richardson Wrench Commercial Brisbane North. 300sqm Office 1500sqm Clearspan Warehouse Loading Dock For further information or to arrange an inspection contact Richardson Wrench Commercial Brisbane North now! 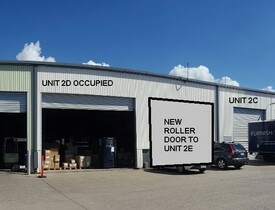 280m2 warehouse with 180sqm office 2 x Container accessible electric roller doors New carpet, new ceiling tiles with LED lights on level one, and new blinds through the unit High Level Ceilings and 2 x Container accessible electric roller doors, access from both sides of the unit. The office space has 2 separate entrances and is a mixture of open space [upper level] and closed offices [ground level]. 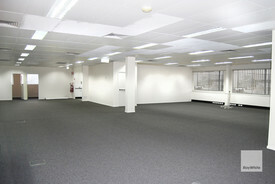 The office area is fully air conditioned with the air conditioners recently being upgraded. There are 2 toilets with one being a disabled toilet and a kitchenette. The warehouse area also offer the benefit of a mezzanine level for extra storage. 3 Phase power and National Broad Band is available. For further information or to arrange an inspection contact Richardson and Wrench Brisbane now! 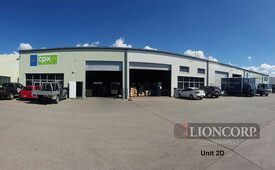 553 m2 high clearance warehouse Container height roller doors 14.4 m2 office 3 phase power High bay lighting Kitchenette toilet Onsite parking Located on busy Nudgee Road, only moments to Gateway Motorway access leading to Bruce Highway Call The Commercial Guys today to book your inspection or for further information. Unless otherwise stated, the price/property may be subject to GST.